The data collected from surveys recently conducted in Zamudio regarding the habits of citizens in consumption and waste management as well as their receptivity to adopt new and more sustainable routines, show a high level of awareness of the importance of reducing waste volumes amongst citizens, both between industries located in the area and between citizens and local businesses. Nevertheless, municipalities are still large waste generators. In this sense, amongst its goals, Waste4Think has set for the four cities that participate as pilot populations the need to reduce the tons of urban waste by 8% for the year 2020. 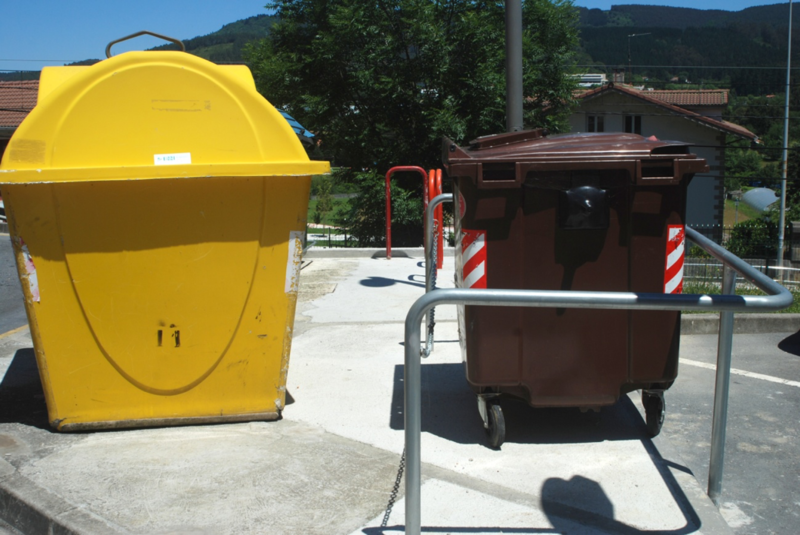 For that purpose the project also seeks to increase by 20% the classification of urban waste, since in this way the impact on the environment and on management costs are largely reduced. In this sense, the survey conducted in Zamudio shows that the most recently established containers, such as those for composting and household oil, still need a walk to be consolidated. In fact, the data collected indicate that there is still a significant percentage of the population (about 40%) who has doubts involving the separation of waste, either because they lack information or because they say that they do not believe in it. The project seeks precisely to increase the citizen involvement by means of reinforcing the information. Additionally, it will go deeper into the work of informing about where to deposit each type of waste. Some waste is, however, difficult to treat with the current systems of selective collection. In the case of nappies, there are reusable alternative options. However, for those who choose the disposable ones, Zamudio is taking into consideration the implementation of specific containers for their collection. Thus, starting from a real diagnosis of the habits in the waste separation, Waste4Think will work to involve citizens in shared learning, co-creation and in adopting new, more sustainable habits.